Liz Swanson is the Chief Event Architect and Co-Founder of Infinity Management Group, LLC. 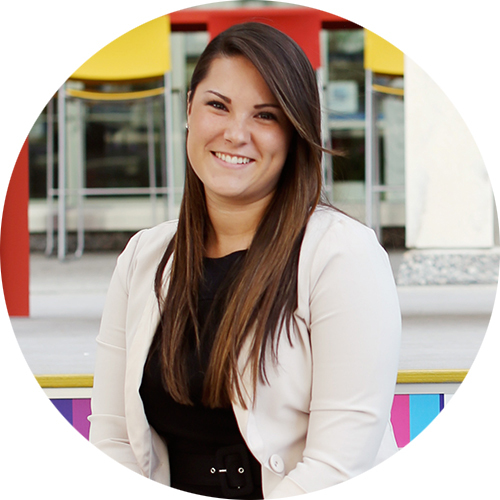 Liz started her career as an intern with S.A.F.E Management Ford Field focusing on special events, guest services and administrative needs. She was promoted to an Event Coordinator position with S.A.F.E Management Super Bowl XLVI in Indianapolis where her duties included scheduling security and guest services staff for all NFL recommended shifts at all Super Bowl venues; Lucas Oil Stadium, Indiana Convention Center, JW Marriott, The Westin, and NFL Warehouse. She also assisted with game day needs at all NFL Super Bowl venues. Looking to expand her experience from special events, Liz took an Event Assistant position with the American Concrete Institute supporting various meetings, conventions and special events. She was quickly promoted to an Event Planner responsible for planning and operations for all events for the Post-Tensioning Institute including an annual convention, 27 certification workshops, three design seminars, as well as other small meetings held each year. Since Co-Founding Infinity Management Group, Liz has held the role of Meetings Manager for the Council of Engineering and Scientific Society Executives (CESSE) and previously oversaw all events for the Association of Fundraising Professionals – Greater Detroit Chapter. She prides herself on being innovative, creating the best possible experience for her clients, and exceeding the goals set forward by herself and within her projects. Liz holds the designation of Certified Meeting Professional (CMP). Liz received a bachelor’s degree in Event Management, Hospitality Administration, and Marketing from Central Michigan University. Liz has been participating in the Walk to End Alzheimer’s as Team Captain the past five years. Along with her team she has helped raise over $5,000.00 for the cause and will continue her efforts every year. She is passionate about participating in health-related causes such as the Susan G. Komen Detroit Race for the Cure, the Walk to End Alzheimer’s, and Pink out the Park at Comerica.